It’s a time saver when you have the best carry-on luggage whether you travel for business or pleasure. We all like to have a carry-on bag to stow in the overhead compartment so that we don’t have to go to the carousel to get the luggage after we land or to check our carry-on luggage in at the ticket counter. 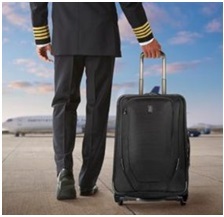 You want to buy the best carry-on that obeys the airline’s strict rules, or you will have to check it in at the counter. The most common sizes are from 24- to 30-inches tall or high. Check with your airline carrier if your traditional suitcase is 36-inches, or you will be checking it in. If you are traveling with your own vehicle, you have nothing to worry about. It’s a good idea to find the one you like online and try to find it in a store to see how it looks inside and out, if it has a handle to pull with, and how the wheels work. Be sure you can lift it to the storage bin and what it will feel like loaded with your clothes and items. Then you can find it on Amazon.com® for a lower price! Don’t forget the brand name, model number, size, and price. Get all the specifications you can for shopping online. You want it to be durable, nice looking, functional, and easy to lift and drag along behind you. Avoid the carousel baggage claim service area whenever you can. A carry-on 24-inches tall x 14-inches wide x 9-inches deep will get you on and some airlines allow for a few more inches so check with your carrier. The way to go is with carry-on bags. They must fit the upper storage compartment or able to go on the floor of the plane totally under the seat in front of you. Each airplane type has different size bins for storage. Since you are aware of this now, your carry-on must fit the space size of the plane. Size matters. Be sure the outside zippered areas do not bulge or that will change the size limits with the protrusion. Keep the outside as flat as possible. Some luggage with handles will have the inside space taking up considerable room with the handles. Be sure to check that or you will limit your storage space in your bag. Spinner wheels should be attached with screws, not rivets for durability and functionality. When you are checking out a bag, pull on the handle, be sure it lifts and lowers smoothly. Be sure it doesn’t wiggle or rattle. There should not be a lot of play with the handle. A locking handle is best. The zipper must be heavy-duty and secure so that it doesn’t pop apart at the seams when your items are inside. Metal is best, but some plastic or acrylic zippers are fine. Be sure the teeth are large and not small like on a pair of pants. Be sure the zipper has a pull-tab that your thumb and fingers can hold on to. A durable carry-on is tough, sturdy, robust, and endures the punishment that is more like abuse it gets when traveling. Consumers are more satisfied with anything durable rather than cheap inferior products. If a wheel flies off it looks like you will be carrying it by that handle if it has one on the side. If the zipper gets stuck on those thin nylon or polyester threads, it’s a nightmare to remove it. You might have tears in the fabric at the zipper or it just comes apart totally at all teeth! That is truly a dreadful situation. Rather than risk such damage happening, buy a durable carry-on to start with. As mentioned above, durability is the most important factor when shopping. Some people are in to brand and style. You want the best and most durable when you travel commercially whether it be a cruise ship, airplane, bus, or train. 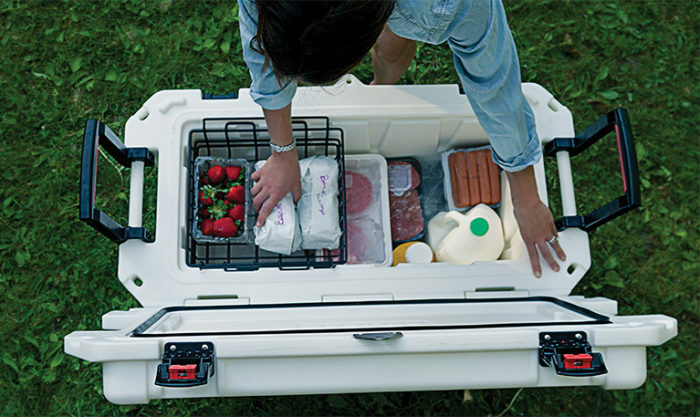 You want it to be durable even when you toss it into your SUV, car trunk, or back of your pickup truck. Commercial travel is the worse for throwing, beating, and tossing your luggage about. They don’t care. The material and all component parts are what to look for when you are considering buying a new durable attractive and functional carry-on. Wheels—should stay in place and smoothly roll along the airport parking lot and inside the terminal on those smooth polished marble or granite floors. They are usually made of a hard plastic and will eventually get some pits in them when rolling over gravel. Turn the units upside down and wiggle them gently so see how sturdy they are. Decide on if you want a carry-on with two or four wheels. Two-wheelers are less susceptible to breaking since they are recessed partially and only roll to the front or back. On the other hand, four-wheelers are not as sturdy for motion. Top Pull-out Handle—is sturdy, firm, and does not move about as you wheel it about walking. It should completely come out and go back in without moving from one side to another; i.e., it should push and pull straight. You should also have a side handle for the times you need to carry it horizontally such as over water puddles or snow and slush. Zippers—are a huge consideration. It is not a substitute for anything else—it is a major item to look at before you buy. There is no substitute for metal; it is strong. Chain zippers are stronger than coil zippers. The chain type does not break as easily. The coil type can be pulled apart quite easily with a pen, nail file, even a fork. The metal chain zipper has two sets of dovetailing interlocking teeth. The coil zipper slides on two parallel polyester coils. Below is a YKK® with two locking sliders and this type zipper is handy to have. The best carry-on luggage will have YKK® zippers. You can see the YKK® initials on the zipper pulls. The best zipper brand is the YKK® and they repair themselves. The initials YKK® stand for Yoshida KōgyōKabushikia Japanese zipper manufacturer making great types of zippers for 71 countries. They also make zippers for the best backpacks for travel and hiking shown here. Construction—is worth your consideration as well. Years ago, hard-sided luggage was thought to be the best because it was not flexible, was heavy, and that was considered to be more durable. Yet the airlines still dinged the corners and broke the handles. In today’s marketplace you will find you can discover lightweight softer materials that are hard, so the two types seem to have blended to have the best of both worlds. A hard bag is sturdier than the soft side luggage. The materials used for hard sided luggage are usually acrylonitrile butadiene styrene (ABS) and/or polycarbonate made from bisphenol A (BPA). ABS is lighter, and polycarbonate is more durable. Bags are also made using sheets of lightweight aluminum which make them easy to stack. Read our Buying Guide and carry-on luggage reviews below to help you with your buying decision. The Delsey Paris Company has been making luggage since 1946 and is the epitome of French excellence and distinction. 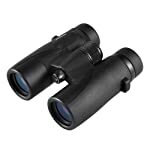 The item model number 07649PL on Amazon.com® is a best seller for all the qualities built into it. It is lightweight, made of 100% polycarbonate, and is durable for all the traveling you do. The interior lining is made of strong nylon. It is available in hard or soft sides in many fun colors. It also comes in a 2-piece luggage set. Other sizes are available too for different travel needs. The 4 double spinner wheels are smooth for the walking you do. Inside are 2 roomy compartments for all your stuff and a divider so that things don’t shift inside. The inside has tie-down straps and for small items, 2 pockets that zip. When you need to lift it, you will be glad to have the side carrying handle, but there is no bottom handle. It is water resistant and the wheels do not drag when fully loaded. You cannot piggyback another small baggage piece with this carry-on, but you could carry extra stuff in a soft backpack where you can carry more devices and laptops. The Transportation Security Administration (TSA) can open and check your bag with the special combination lock that only they can open using your combination number. As you know, all airlines have size and weight restrictions, so be sure to check with your carrier to see their carry-on guide. You will get an integrated padded sleeve for up to a 15.6-inch laptop and two zippered mesh pockets for accessories, toiletries, or last-minute items. This case fits in the overhead of most domestic airlines. The zippers are metal, and durable made by YKK® for Delsey. It does not come with a luggage identification tag however you can buy those from Amazon.com®. The wheels are held on with an axle, not riveted, and use Allen screws for each side. One side uses Loctite® and the other side does not. The dimensions are 29-inches tall standing x 19.5-inches wide x 12.5-inches deep weighing 12.5-pounds. The linear inches are 61. The height from the bottom of the wheels to top of the case is approximately 31.25-inches and to the top of the handle approximately 32-inches. Gift-wrapping is available for your loved ones and as a gift for special occasions. You will receive the carry-on, User’s Manual, and a Worldwide Limited 10-year Warranty. It is made in France. Delsey Aero – USA Exclusive Style video. Delsey Helium Aero Review video. 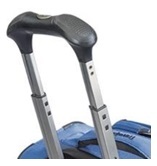 The Travelpro® Max•lite® 4, item model number 401156532, SKU 4011565, is a best-selling carry-on at Amazon.com®. An informative statement from Travelpro®: “A Northwest Airlines 747 pilot, Bob Plath had crisscrossed the globe a thousand times over, suitcase in tow. He’d seen, first hand, what happened to luggage over time, and the toll it took on the traveler hauling it. Bob knew there had to be something better. And as the saying goes, “if you want something done right, do it yourself.” So, he did.” The rest is history and I’m happy he had this creative concept for liberating travelers from old-style luggage carried by hands. 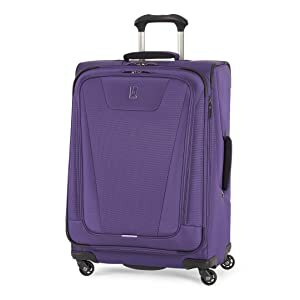 The colors are purple, black, blue, gray, merlot red, and the carry-on is extremely lightweight with 4 spinner wheels. The wheels are protected with its crash-guard housing and this unit will turn 360-degrees or roll by pulling or pushing in 1 direction. The bottom tray aligns and stabilizes the wheels for effortless maneuverability and greater durability. An added convenience is the full-length mesh lid pocket with zipper for a depth of 2.5-inches of added space and has some give. The exterior zipper pocket is approximately 20-inches tall x 12-inches wide. The accessory pocket on the side, hold-down straps that you can adjust, and the retractable handle that is nonslip are added improvements from the Maxlite® 3 (earlier version). The aircraft grade aluminum handle adjusts for different height people to be either at 38-inches or 42.5-inches then locks into place. The rubberized grip is contoured for the shape of your fingers and hands. This is a nice feature to keep your palms blister-free. The exterior fabric is polyester with a stain resistant coating and is water resistant when it rains and snows. Just wipe it off with a wet cloth to clean spills. Being designed with the honeycomb system, the frame is indeed light and strong. There is no padded place for putting your laptop in this carry-on luggage review. For extra storage, the fabric expands in a tapered method to give you up to 2-inches more storage space. The adjustable straps hold your clothes in position to have no wrinkles when you unpack with Duraflex® buckles that won’t break. Duraflex® plastic hardware is often used for military products, dog collars, pet products, outdoor products, belts, bags, webbing, straps, and luggage. The center of gravity is low for good balance and there is a side handle with a bottom handle as well to help you lift it into the cabin storage bin. The zippers are nylon plastic coil and the wheels are screwed in by way of the inside construction. The zippers are strong with top pulls. A tote can stack on top and the rear quick loop can be used to slide over the extension handle. The overall measurements are 28-inches tall with wheels/handles x 18.5-inches wide x 11-inches deep. Its volume is 92-liters (3.25-cubic feet). It is lightweight at only 7.8-pounds. It is 25-inches tall not counting the wheels, pockets, and more parts that add dimensions. The interior dimensions are approximately 24.5-inches tall x 17.5-inches wide x 10.5-inches deep. Note: This 25-inch luggage is too large to be used as a carry-on; it will have to be checked in. Most airlines have a 22-inch maximum and Travelpro® Max•lite® 4, makes a 22-inch shown here. Gift-wrapping is available for your loved ones and as a gift for special occasions. You will receive the luggage, User’s Manual, and a Limited Lifetime Warranty against defects in material and workmanship. It is made in China. The Samsonite® Corporation of Denver, Colorado USA makes the best luggage ever! The item model number 56846 on Amazon.com® continues to sell the best with its world-renowned reputation. 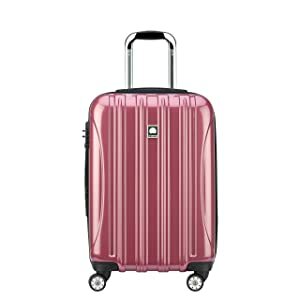 Choose from 13 stunning colors and find the one that lets you find your luggage quickly at the carousel. This luggage is too large to carry-on the plane, so must be checked in at the ticket counter. This is a genuine Samsonite® product, not a knock-off! Made of 100% injected molded polycarbonate plastic, it will absorb being knocked around by airline baggage personnel and it will flex under stress popping back to its original shape. It will protect your belongings and does not ding or dent up. It is a square design with full capacity. The “one size” means the one size of 28-inches. Inside is a full-zipper divider with pockets for organizing your small incidentals. The zippers are made of metal. With the outside pattern of brush stokes, any slight imperfections from handling will not be noticed. The TSA lock is mounted on the side and you set the combination code to tell them when they open to check the contents. The zippers are the coil type of plastic. It has 4 spinner wheels with 4 direction travel at 360-degrees or push/pull straight attached with screws. The telescopic handle retracts and pushes back in with ease and locks in place. The overall dimensions are 31-inches tall x 20-inches wide x 12.75-inches deep (approximately 65.28 linear inches). The body dimensions are 28-inches tall x 19.75-inches wide x 12.50-inches deep (approximately 60-linear inches). The weight is 11.50-pounds. The Winfield™ also comes in 3 sizes: 1 for carry-on and 2 for check in. Gift-wrapping is available for your loved ones and as a gift for special occasions. You will receive the luggage, User’s Manual, and a Limited 10-year Global Warranty against defects in material and workmanship. It is made in China. Samsonite® Winfield™ 2 Spinners video. The Delsey Paris Company since 1946 has been making French quality and distinct luggage. The item model number 07644PL on Amazon.com® is a clamshell style with no interior or exterior pockets. It does not come with a laptop pouch. It is lightweight, made of 100% polycarbonate plastic that is strong and durable. The interior lining 2 compartments are made of hard-wearing nylon. Select from fun colors of peony, cobalt blue, plum, purple, red, and titanium. The 4 spinner wheels are attached from the inside with screws. When you fly inside the terminal the wheels will turn smoothly as you walk. It has the adjustable top handle that locks, a side handle for lifting, but no bottom handle. The outside is waterproof, but the inside will get wet through the zipper part if you toss in into the ocean or bathtub. This does not have the piggyback feature but if your small piece has a strap you should be able to attach it. I use one from an older carry-on and it works fine since it’s small. The Transportation Security Administration (TSA) can open and check your bag with the special combination lock that only they can open using your combination number that you set. As you know, all airlines have size and weight restrictions, so be sure to check with your carrier to see their carry-on guide. Check your instructions for how to set the combination lock. This carry-on will fit in the overhead of most domestic airlines. The zippers are metal, and durable made by YKK® for Delsey. It does not come with a luggage identification tag however you can buy those from Amazon.com® here. My advice, only put your name and phone number on your tag. Never put your address, unless it’s only the city and state. You don’t want someone knowing where you live then break in. When I was working for a large corporation I never put my business card in the tag because that gives too much information as well. The overall dimensions are 21.25-inches x 14-inches wide x 9-inches deep. It weighs 8.2-pounds. The internal measurements laying open and flat are 18.5-inches tall x 13.50-inches wide each side open. The London Fog Company has been around since 1923 making great umbrellas, coats, and purses. 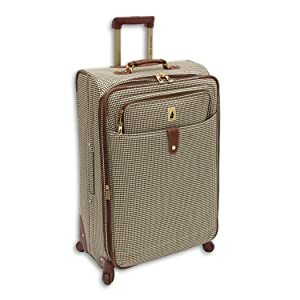 The best lightweight luggage, item model number 8124 OLV, is available on Amazon.com® and it’s made of 100% polyester in a jacquard pattern. It looks brown to me in a houndstooth pattern, but Amazon calls the color olive, which is green. The stylish English houndstooth material gives this London Fog expandable spinner a classic, elegant look. 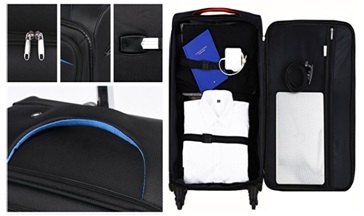 The luggage with its built-in suiter, and push-button locking handle offer the best of modern-day luxury. Colors in swatches are random for patterns only and not what London Fog uses. This is a jacquard pattern on the left, so if patterns are important to you, it is not jacquard, but is houndstooth. Okay, so it states it’s made of 100% polyester jacquard—the description also states it is olive plaid! This is plaid, shown on the right! Whatever the pattern name or color, the carry-on is lovely and packs up nicely. 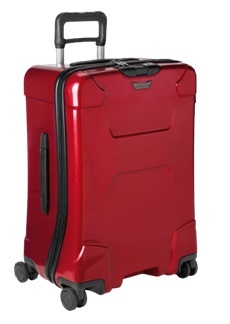 The luggage has 4 in-line skate ball bearing wheels that turn 360-degrees and will also pull and push straight. The front and back sides have exterior pockets for small items. It is lightweight of side bound construction. It will expand more for more packing of items. You have the top retracting handle and side and bottom carrying handles to lift into the plane’s storage bin. The leather looking accents are not genuine animal hide; they are faux leather. The exterior dimensions are 27-inches tall x 19-inches wide x 9-inches deep including the wheels and weighs about 6-pounds. The inside dimensions are 17-inches tall x 25-inches wide. You cannot fit a 15.6-inch laptop in the front pocket because it’s too skinny and small. A small tablet might fit or a cell phone. The front and rear side have pockets for items needed quickly. The 4 wheels turn 360-degrees and will go forward and backward rolling with you when walking. The unit will expand about 30% more to have what we all want—more space. The top handle retracts and moves out to lock in place. Additional handles are on the side and bottom for easy lifting into the plane storage compartment. Spray with 3M™ Scotchgard™ Fabric and Upholstery Protector to avoid stains. Gift-wrapping is available for your loved ones and as a gift for special occasions. You will receive the carry-on, User’s Manual, and Warranty. It is made in China. The Merax item model number P005810JAA_OAA shown on Amazon.com® comes in tantalizing colors of blue, black, gold, green, orange, purple, red, sky blue, and yellow. 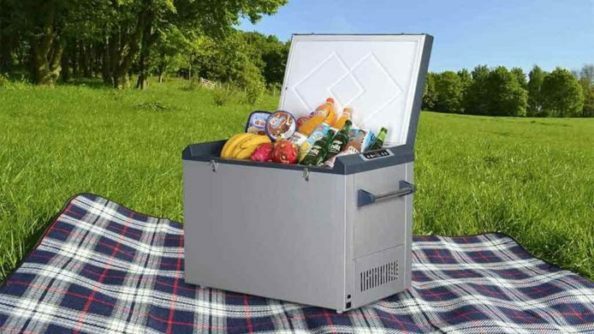 All 3 sizes have top retractable handles and 360-degree wheels. For you travelers, whether business or leisure, you will have no concerns with the reliable and functional features with this set of luggage. The 28-inch suitcase is for consignment to the belly of the plane by checking it on at the ticket counter. It is much too large for the carry-on bin inside the plane. The 24-inch suitcase is also for checking in to go into the plane’s luggage holding belly. It too is too large for the carry-on compartment inside the plane where you sit. The 20-inch, however, is a carry-on bag that will fit into the storage bin inside the plane where you are. If you take all 3 pieces with you, it can store with the other 2 units in the belly. The hard-shell case is made of acrylonitrile butadiene styrene (ABS) and/or polycarbonate (PC) made from bisphenol A (BPA). That material is durable, strong, and flexible to absorb any impacts when it’s traveling. The colors are matched in batches to always be the same and not a tad off color. The spinner wheels and handle that retracts and lifts out is convenient with 3-telescoping positions for tight spaces or your height. All luggage sets have been upgraded with metal handle clamps. The stylish pattern on the case is well designed to hide any scuff marks it might get. With the 3-digit combination lock, you’re always secure and TSA can open it if necessary when you give them the numbers. The lock is preset to 0-0-0. Just push the button on the broadside, and set each number to your choosing. Then release the button and you’re all set to go. The 3 pieces ship together with the 2 smaller pieces nested into the larger unit. This is a handy way to store them when you aren’t traveling. The shipping weight for the 3-piece set is 27-pounds. Gift-wrapping is available for your loved ones and as a gift for special occasions. 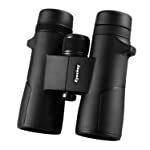 You will receive the 3-piece set, User’s Manual, and 5-Year Worldwide Warranty. It is made in China. 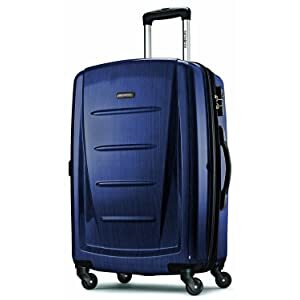 The Samsonite® Omni PC hard side, item model number 68311-2479, is available on Amazon.com® at an affordable price for 3 pieces! The top selling luggage is always the best and genuine and not a knock off from Samsonite® in business for over 100 years. All 3 pieces are shown under the tab “one-size” for the price on Amazon. 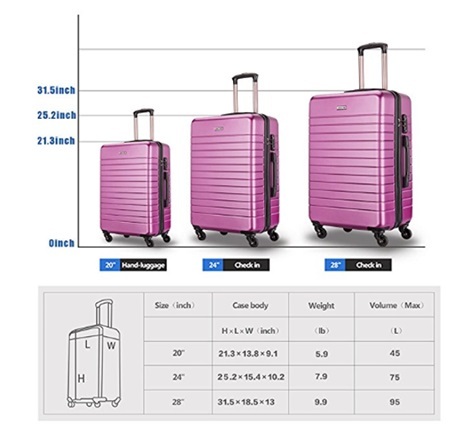 With the impact resilient hard shell made of injection molded polycarbonate with a micro-diamond surface, you will be safe and secure knowing this set of luggage will not fall apart and it’s lightweight too being of the best luggage sets on the market. The 4 spinner wheels are effortless for you to push or pull or turning the piece 360-degrees and they are attached with screws. That takes the weight off you and puts the weight where it belongs—on the wheels. The retractable handle locks into place too for a secure non-wobbly feel when you walk. Inside the compartment are a zippered divider and straps that cross to hold your clothes in place without wrinkling. This prevents shifting and balled up shirts. 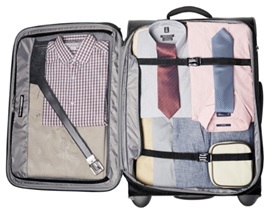 It doesn’t matter if the suitcase is vertical or horizontal—your clothing remains as you place it. The center clasp is tough and will not come undone. You set the combination for the TSA side lock and give that number to the TSA agent if they need to open your luggage and check it. Follow the easy instructions in your manual for setting it. The luggage expands a few inches and consumers appreciate that feature. You can nest the 3 cases to store them when not being used to save closet space. The overall dimensions are 31.50-inches tall x 20.50-inches wide x 13.50-inches deep. The body dimensions are 28.50-inches tall x 20.50-inches wide x 13.50 inches deep. 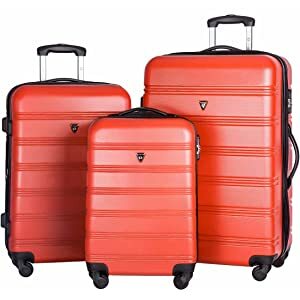 The Hauptstadtkoffer® luggage company in Berlin, Germany, item model number 54853531-T979899TSA_graphit, is a best-selling set on Amazon.com® for the 20-, 24-, and 28-inch 3-piece hard side set. Germans produce magnificent products and this luggage is no different. The best lightweight luggage comes in spectacular colors of many to choose from. Your set will be of one color; they do not mix or match. The Alex series is indeed the colorful traveling companion! The only drawback is the carry-on bag does not have outside pockets to hold your passport, papers, meds, or iPad. You will have the 4 wheels that can rotate 360-degrees or go forward and backward the way you want to pilot the suitcase. As you taxi through the airport corridors, you will feel relaxed and comfortable with the retractable anodized aluminum handle that locks in the up and down positions. It fits nicely to your hand and fingers too. The handle slides through the interior. Configure the TSA combination lock to 3 numbers you can remember and give the combination to the agents if they ever want to check your bags. There is one side handle to help you lift it and the corners have bumpers for protection. 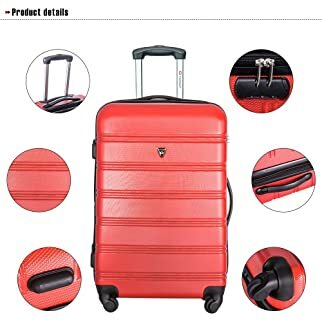 The luggage closes with a coil zipper. The case is waterproof, but water, rain, and snow can get in around the zipper. When you get home, store the suitcases one inside the other. The nesting lets you only put the big one in your closet with the other 2 inside it. 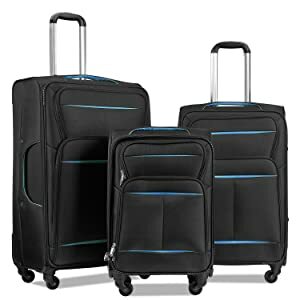 The Lemoone luggage set ASIN B073GVRQB6 on Amazon.com® is a 3-piece set in colors of solid black/blue stripe, black/green, black/purple, black/silver, and silver/red. The soft-shell type is lightweight, water resistant, and wonderful for anyone traveling. The 3 pieces are 20-inch for carry-on and the other 2 of 24-, and 28-inch will need to be checked in. 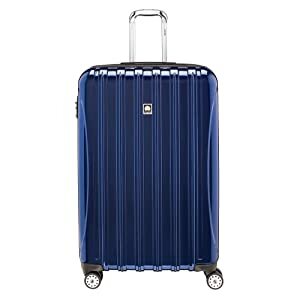 The best lightweight luggage material used is 600D (denier) polyester for resisting scratches and stress from being underneath another piece of luggage. The 4 wheels will turn 360-degrees and also go forward and backward the way you want it to go when you walk the concourse. The chrome handle raises and lowers being telescopic. The top of the handle is padded and so is the side handle used for lifting. It does not have TSA locks, but you could put a small key type pad lock in the key tab holes. 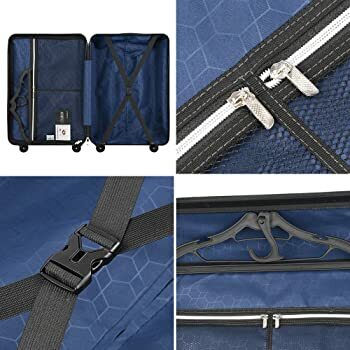 The case unfolds to provide 2 sides for inside packing of clothes and items with straps that go over the items to hold securely; the lining is strong nylon. There is a mesh storage pouch for pens and papers and the outside has pockets in varying sizes for what you need to store. The stripes would make this luggage easy to identify at the carousel. I also use wrapping ribbon in many colors on the handle to find mine! The 3 pieces can nest together for storage with only the large one taking up space in your closet with the other 2 inside it. 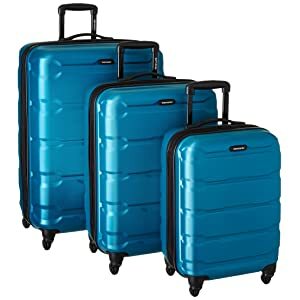 The suitcases are not sold separately; they are sold as a 3-piece set. The double pull zipper closures are plastic and the chain style. This is the only luggage I have reviewed that has an identification card holder. The luggage is not expandable. 20-inch carry-on bag is 22.80-inches tall x 14.20-inches wide x 9.10 inches deep, holding 38-liters, weighing 7.80-pounds. 24-inch check in bag is 28.50-inches tall x 17.00-inches wide x 11.00-inches deep, holding 60-liters, weighing 9.20-pounds. 28-inch check in bag is 31.50-inches tall x 19.00-inches wide x 14.00-inches deep,holding 93-liters, weighing 11-pounds. Gift-wrapping is available for your loved ones and as a gift for special occasions. You will receive the 3-piece luggage set, User’s Manual, and a 2-year Warranty against defects in material and workmanship. Contact the seller: [email protected] for any concerns. The luggage is made in China. 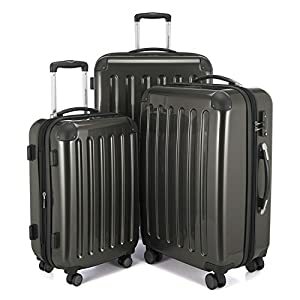 The Galaxy luggage, sold by Lemoone Factory Shop, ASIN B0755BLRY6 fulfilled by Amazon.com®, is a 3-piece set sold together and not separately in 20-, 24-, and 29-inch sizes for all your travel needs. 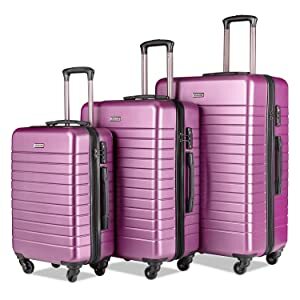 The colors will be easy to find at the airport luggage carousel in black, champagne, dark green, dark red2, and pink2 that is more like a dark lavender or bright purple. The outer hard shell is made of acrylonitrile butadiene styrene (ABS) and polycarbonate (PC) made from bisphenol A (BPA) to be light in weight, durable, and ding and scratch resistant. It is waterproof and resists pressure of suit cases on top of it being one of the best luggage sets. With the 360-degree turning spinner wheels, you can go in circles, push it straight ahead, or pull it behind you. The TSA lock with combination code that you set will let the agents into your luggage if necessary. It’s easy to set using your instructions. Easily lift the case with the soft side handle and experience the smooth movement of the telescopic retractable top handle made of aluminum. Inside the case is an odorless cloth, straps that cross to hold your clothing in place and another partition with a zippered area for private items. It even has a hanger! With the 2 small mesh pockets you can hold your papers or other small items. Most luggage or carry-on bags do not have a hanging part to hang from a coat rack; grab a garment bag for that. If you have lost your TSA combination code, it can be reset. You can also reset it if it isn’t working. Read your instructions for how to do this because different brands are a little different with either a slot or a stem near the combination lock. There are many videos by brand on YouTube to check out how to do it as well. Do not try to stack the 3-piece luggage sets to roll them! They will fall. 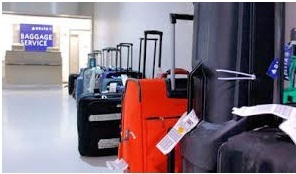 Most carry-on bags and luggage do not have identification card/tag places as in days of old. 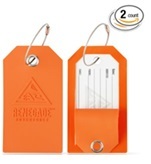 You can purchase tags in 3 different colors with a very safe attachment cord and not a strap with clasp that cannot be removed or broken. The best carry-on luggage will give you a safe and secure adventure when you travel. You don’t need to worry about wheels coming off or handles cracking. The carry-on luggage reviews above will give you a good idea of the better luggage in the market. 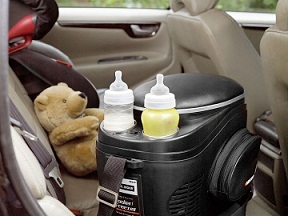 You might even like to take a small soft cooler for your water and sodas for you and the kids. Be sure to take birth certificates if traveling abroad for the kids and yourself along with passports and maybe immunization records.